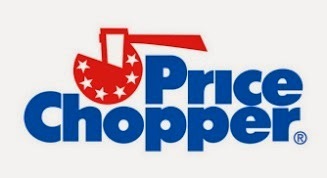 Price Chopper Coupon Matchups 6/15-6/21! Here are the deals this week at Price Chopper. If you are new to using coupons at Price Chopper you can check out Price Chopper 101. Nature Valley Granola Bars or Honey Nut Cheerios, Lucky Charms, Cocoa Puffs, Golden Grahams or Original Cheerios - $1.77 each, must buy 5, use $1/2 from 6/8 SS (some areas may have received $0.50/1, not Capital Region) $0.50 off one box of Nature Valley Granola bars or $0.50/1+ $0.50/2 saving star ecoupon. Deal: buy 5 use (4) $0.50/1 + saving star ecoupon = $0.87 each. PC Boneless Chicken Breast or Boneless Thighs savings pack - $1.99 lb. Certified Angus Beef Boneless Strip Steak - $10.99 lb. Butcher's Promise Porterhouse Steak - $8.99 lb. Certified Angus Beef Porterhouse Steak - $10.99 lb. Certified Angus Beef Shoulder London Broil - $3.99 lb. 31-40 ct. Jumbo Cooked Shrimp - $8.99 lb. Gala Apples - $1.69 lb. Red Globe Grapes - $1.79 lb. Black, Red or Green Seedless Grapes - $1.99 lb. Green or Yellow Squash - $1.69 lb. Collard or Kale - $1.49 lb. Romaine Lettuce - $1.49 bch. Tomatoes On The Vine - $2.49 lb. PC Cooked Ham - $4.99 lb. PC Honey Smoked Turkey Breast - $5.99 lb. LOL Slicing Cheese - $5.99 lb. Krakus Imported Ham - $6.99 lb. Finlandia Swiss Cheese - $6.99 lb. D&W Maple Honey Ham - $7.99 lb. D&W Eye Round Roast Beef - $8.99 lb. D&W Smoked Peppercorn Turkey Breast - $7.99 lb. Russer Olive Loaf - $4.99 lb. Wunderbar Bologna - $1.99 lb. Kayem Natural Casing Old Tyme Franks - $5.99 lb.